UZBEKISTAN-KYRGHYZSTAN border. Ferghana Valley. 2002. 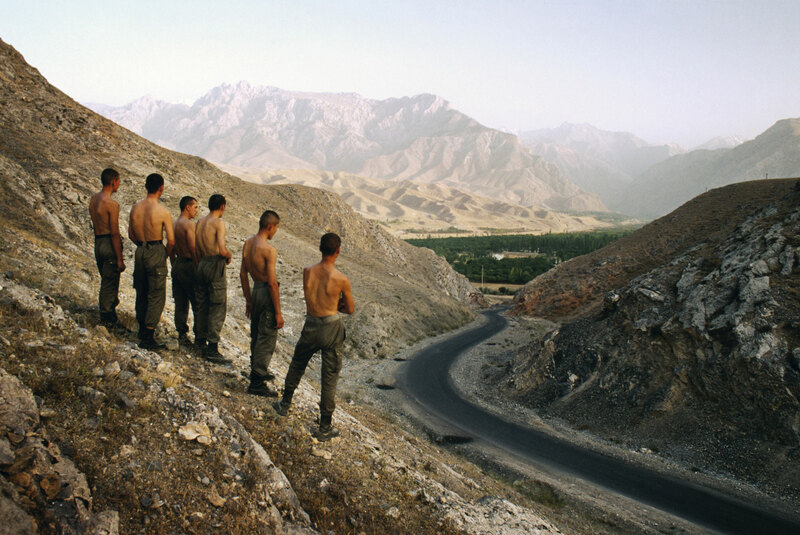 An Uzbek border patrol surveys one of the valley's seven territorial enclaves. The myriad borders of the valley make it hard to control and ideal for smugglers.